Are you in love? But have failed to find a private stay that oozes out the luxury you always wanted, with your budget constraint? 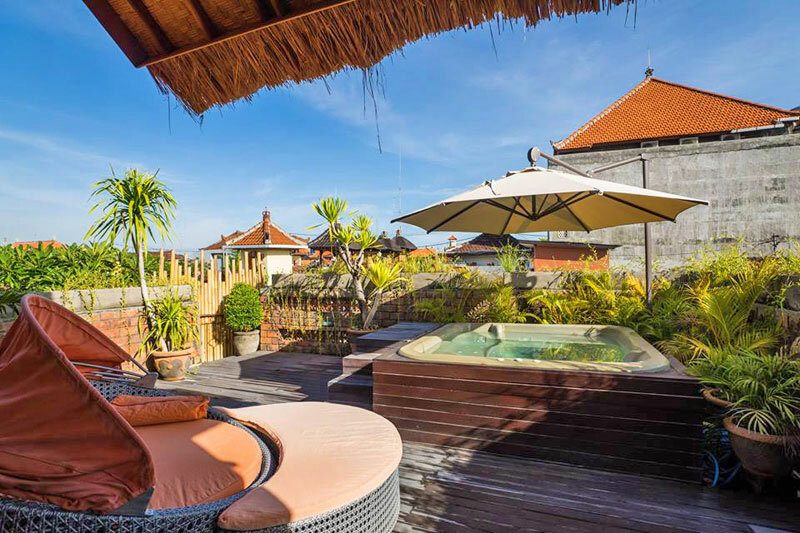 Imagine yourself soaking in your own Jacuzzi, sipping wine with your loved one while admiring the stunning views of Bali, where the place is entirely your own and requires no instruction of a ‘Do Not Disturb’ sign. A place where the time passes in embrace of your partner, lazing around talking about the things which you had ignored for the longest time. 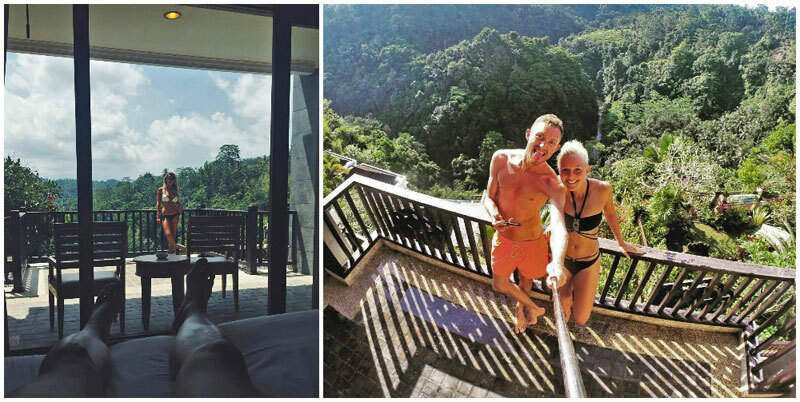 You don’t need to fork out your hard-earned one-month salary to afford just a night’s stay like this. 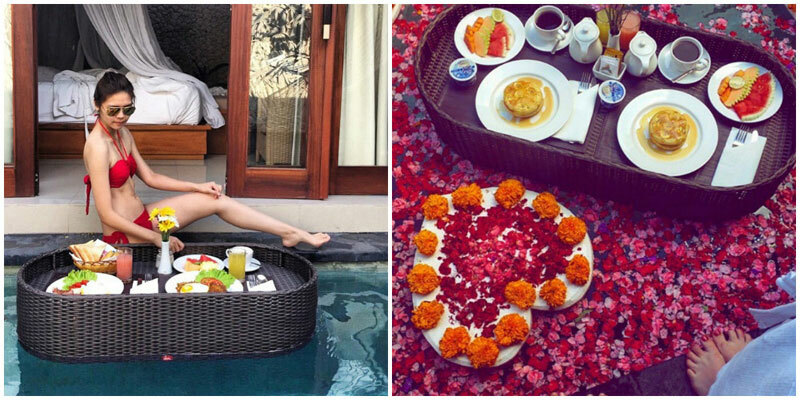 In Bali, you can enjoy this private time with your partner for less than $125 a night! 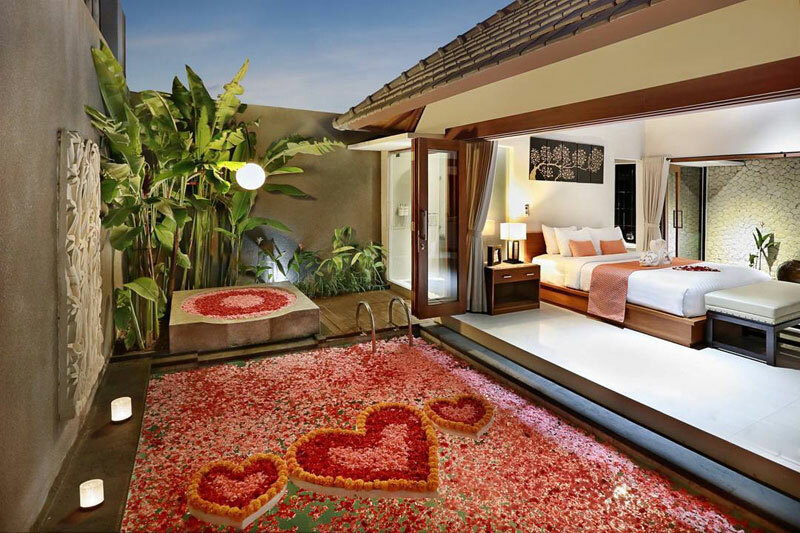 It doesn’t matter if you have recently found love or have been married for decades, these 10 romantic stays will rejuvenate the love you share with your partner, making you feel special and worth it. Note: The prices reflected below are the low season rates for rooms with private jacuzzi, and they exclude tax and service charges. Accommodation rates often change with room availability, and low or high seasons. We recommend double checking for the final prices before confirming your booking. 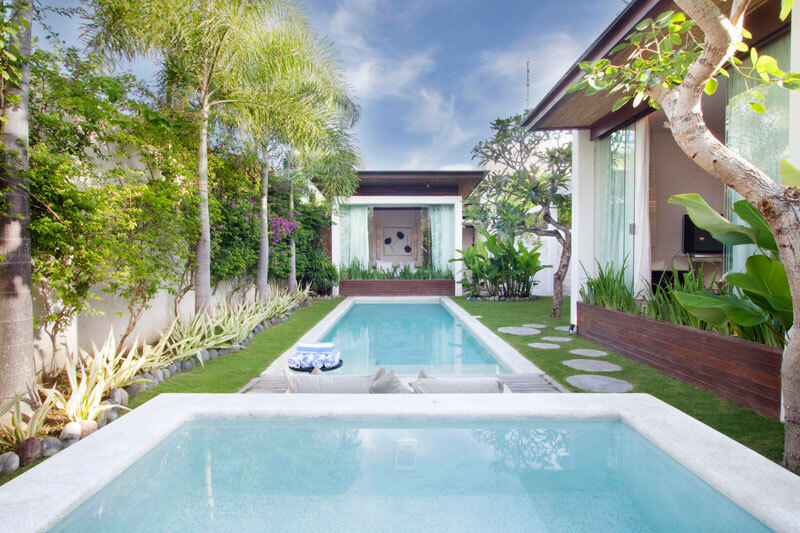 This palatial one-bedroom villa is located close to Canggu and Seminyak and is ideal for a honeymoon couple. 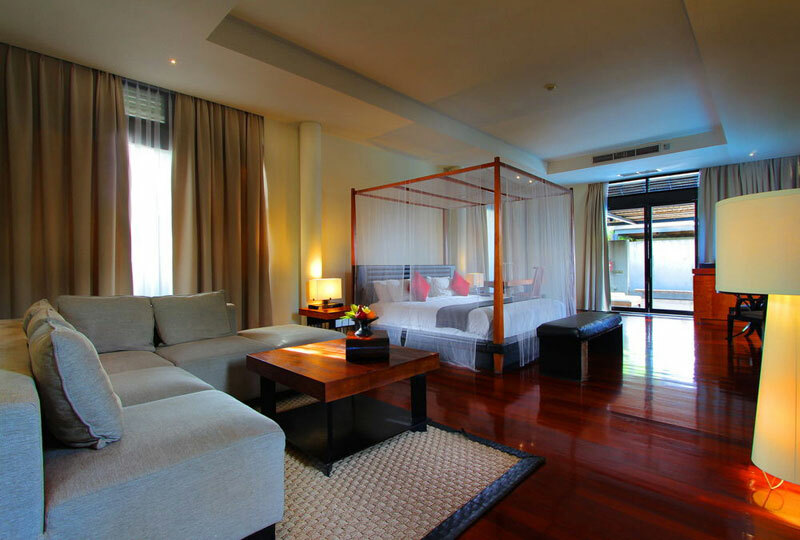 Every feature in this villa is included to make your stay comfortable and memorable. 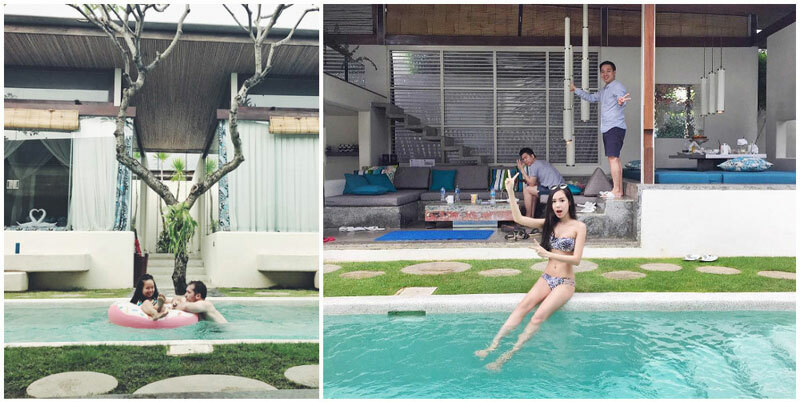 The villa has a private pool with Jacuzzi overlooking the beautiful tropical garden and rice fields. You can also be assured of high speed internet, speakers to enjoy music from and a well-equipped kitchen. The property is no less than a hotel – you can avail the facility of in-house laundry, vehicle rental, tour guide, professional massages and even surf lessons! Moreover, you also get a phone with local number to have a hassle-free holiday. Where else would you be able to get such privacy and facilities at an unbeatable cost? 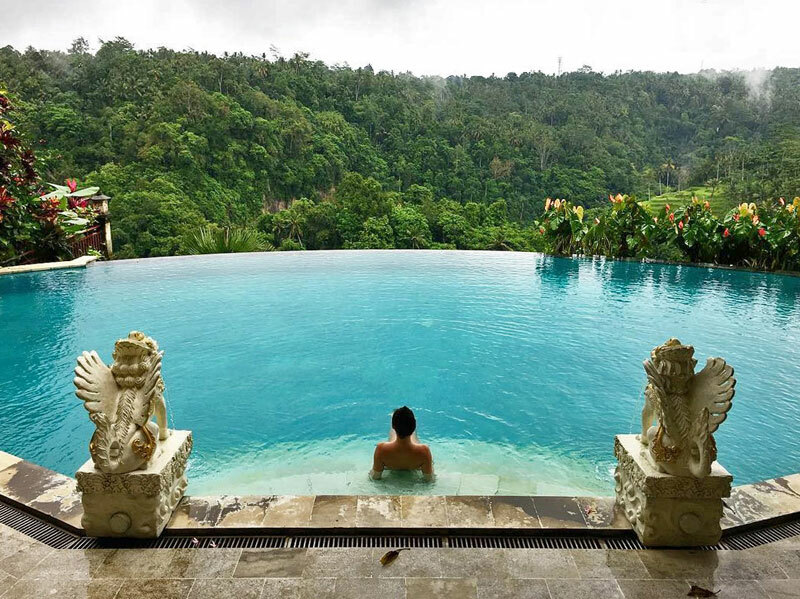 A mountain resort located in Payangan, Rijasa Agung has 2 outdoor infinity pools that overlook Mount Batukaru. The hotel offers 6 categories of rooms – Deluxe, One-Bedroom Villa, Deluxe Suite, Family Room, One-Bedroom Pool Villa and One-Bedroom Suite Pool Villa. 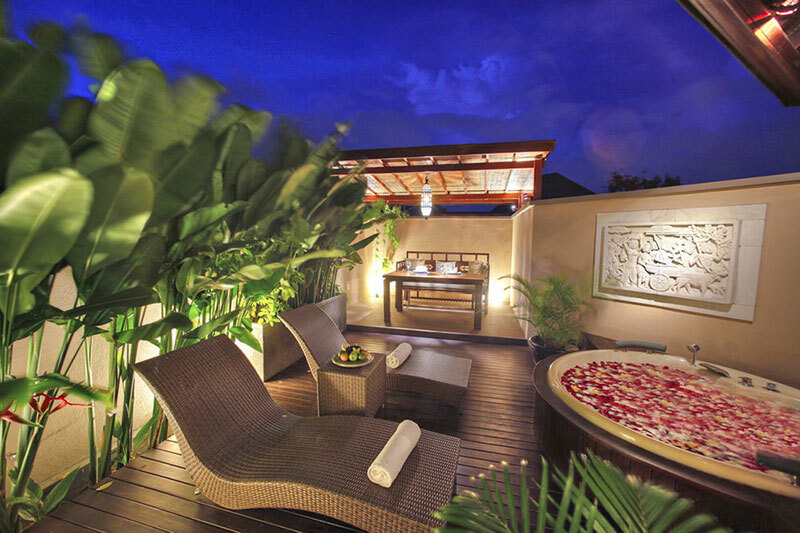 Only the Deluxe Suite offers lavish jacuzzi on the balcony at US$86. The Deluxe Suite has a modern look with Victorian furnishings and marble flooring. 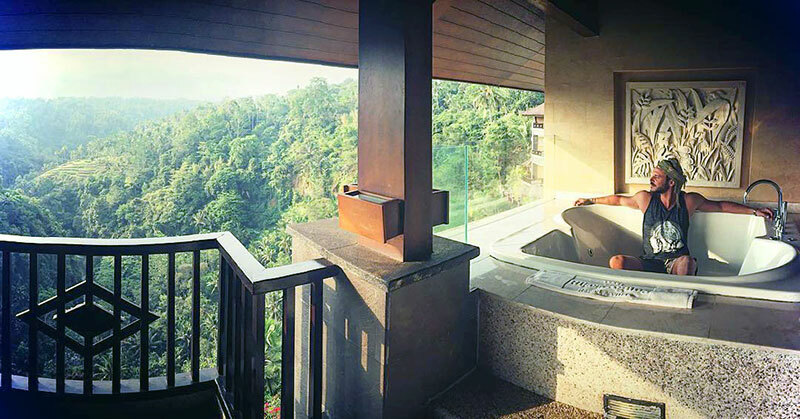 Here, you can enjoy mesmerizing views of the river and tropical rainforest. 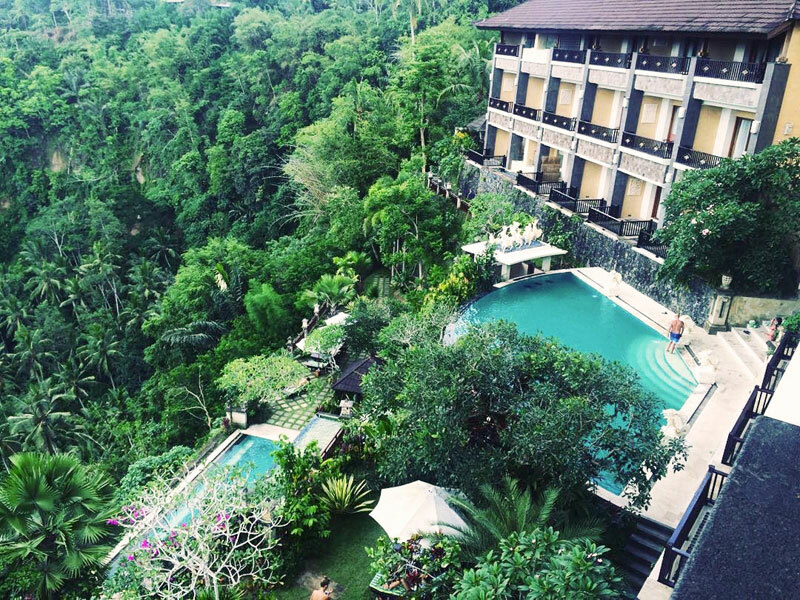 You can even have your morning coffee while you relax in the refreshing Balinese air from the private balcony. 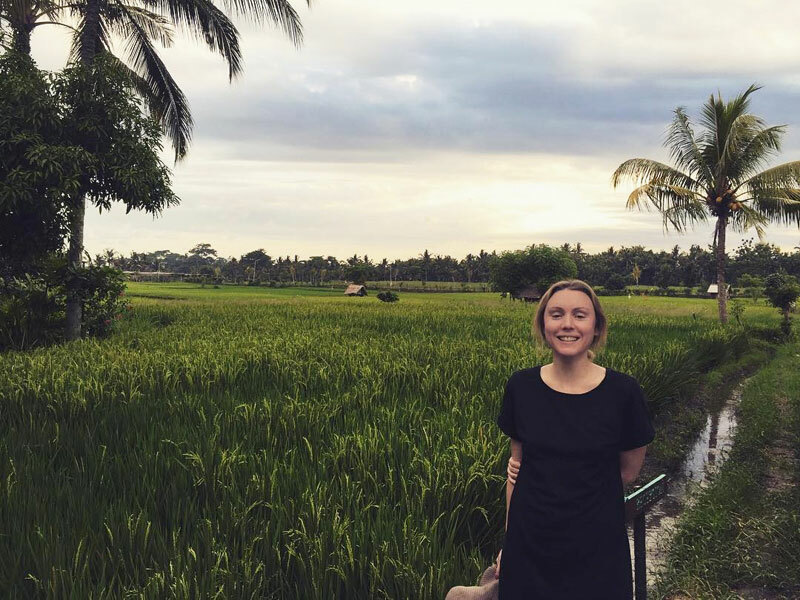 And while you’re enjoying some peace, you don’t need to miss the excitement of Ubud central – the hotel has a shuttle that brings you there and back! 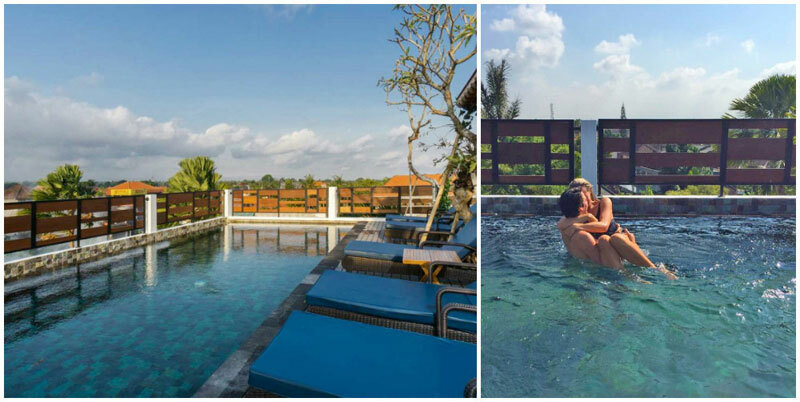 Javana Royal Villas is a lavish hotel located on the edge of Seminyak, providing the right balance of seclusion and excitement that a couple on honeymoon will appreciate. 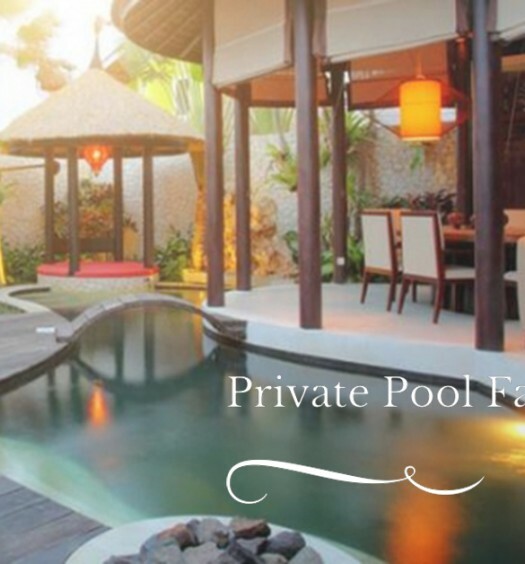 The hotel has two options of stay – One-Bedroom Pool Villa and One-Bedroom Royal Pool Villa, and both options come with a private jacuzzi. 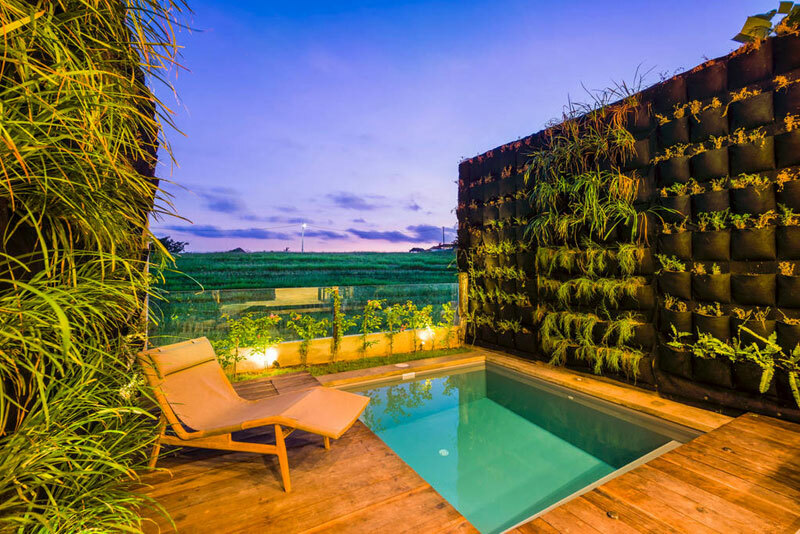 The hotel has 14 minimalist and chic One-Bedroom Pool Villas (US$124) which are designed as sanctuaries to rejuvenate you after a long day of shopping in Seminyak. Each villa can be accessed by a private entrance and features a 16-by-4-metre private pool, jacuzzi and sundeck with a seating area. 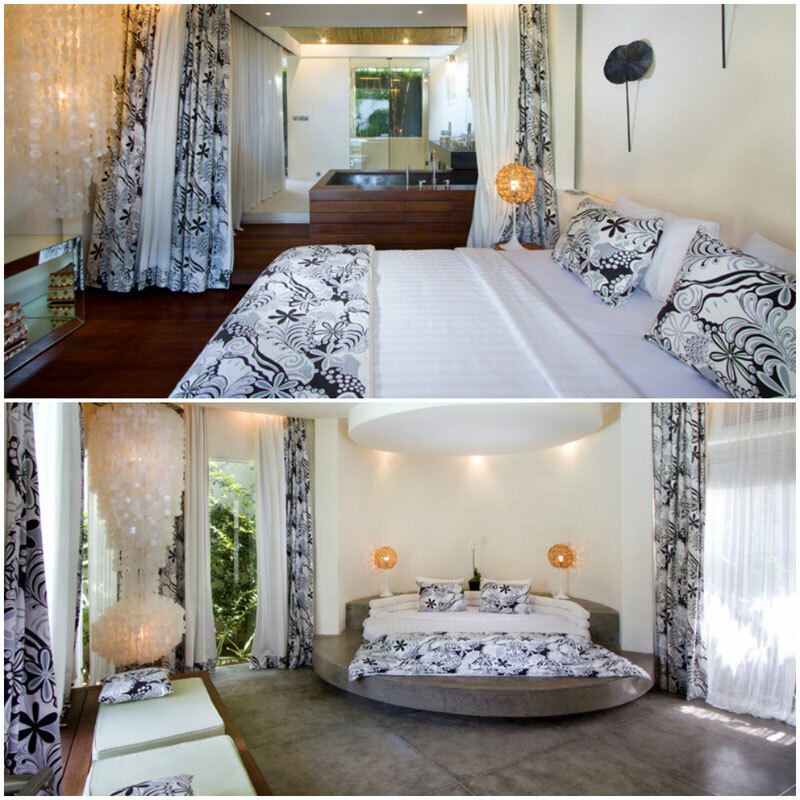 The One-Bedroom Royal Pool Villas (US$165) are a blend of traditional Balinese and modern design. 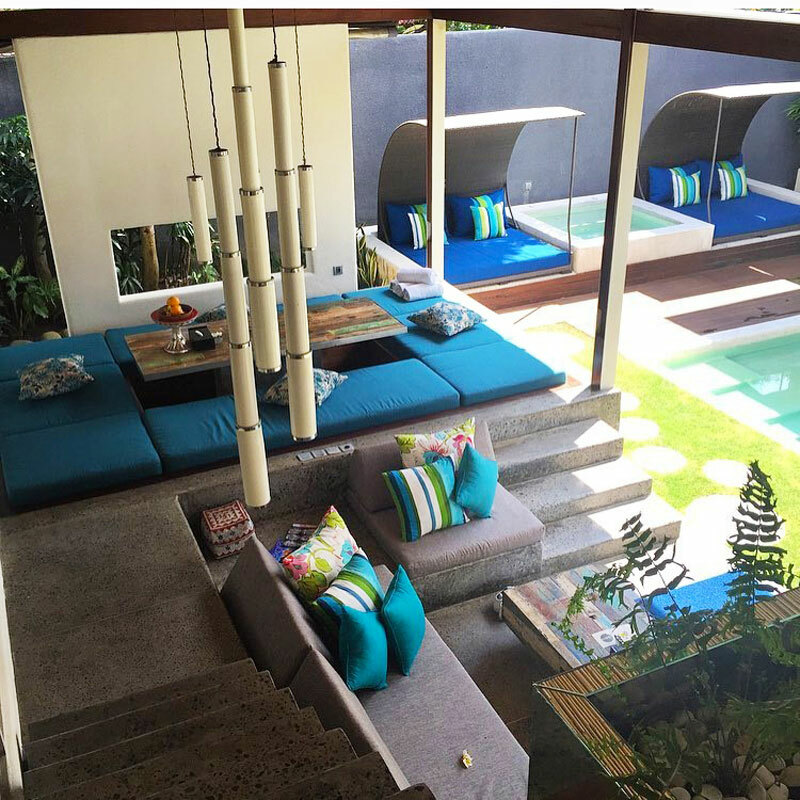 These villas are extra spacious – in fact, the size of these villas are bigger than most in Seminyak! Every one of them is a grand two-storey villa with a 14-by-4-metre outdoor pool, a private garden and sundeck with loungers, in addition to a jacuzzi and rainfall shower. 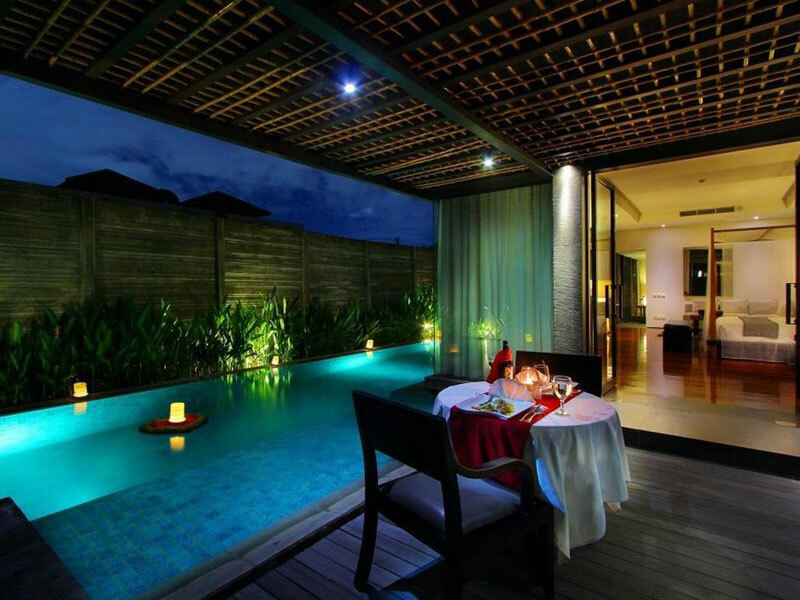 And to add more romance to your sweet vacation, you can also have a candlelit dinner in your private outdoor dining area! 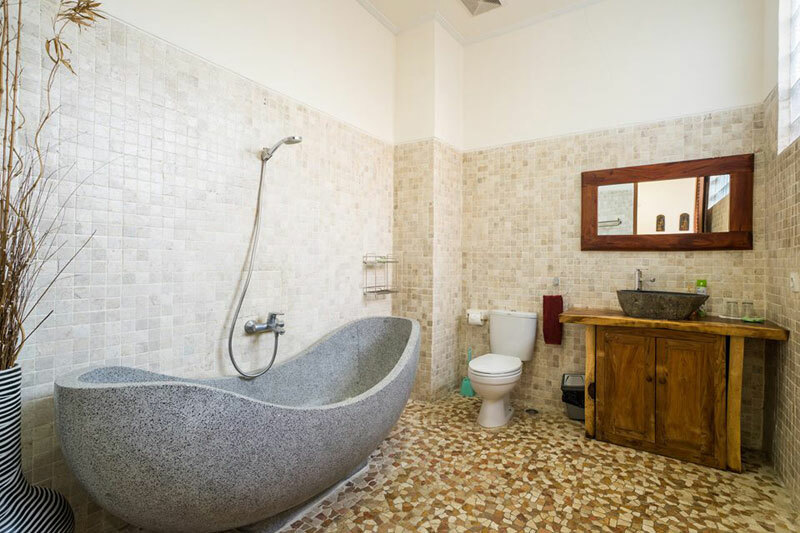 Looking for an affordable villa with its own huge whirlpool tub? 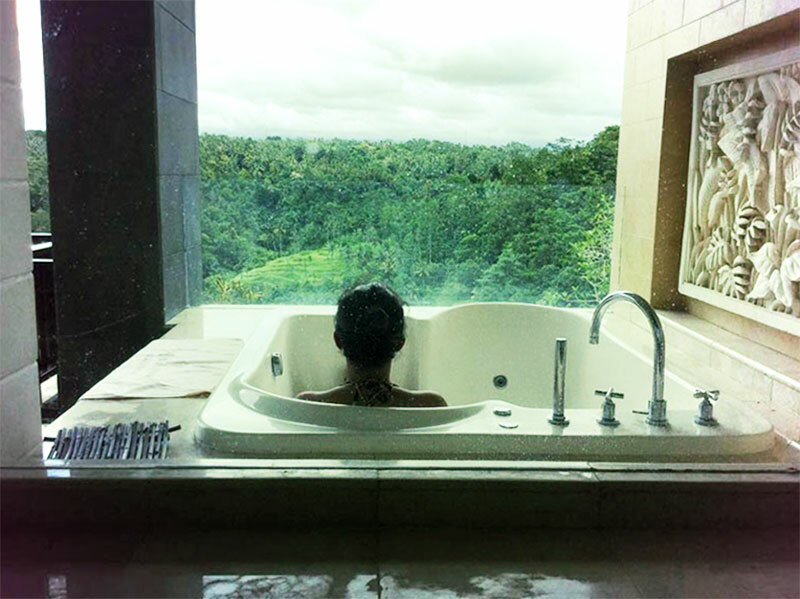 You’ll be as delighted as us to know that Kanishka Villas’ Jacuzzi Suite exists! 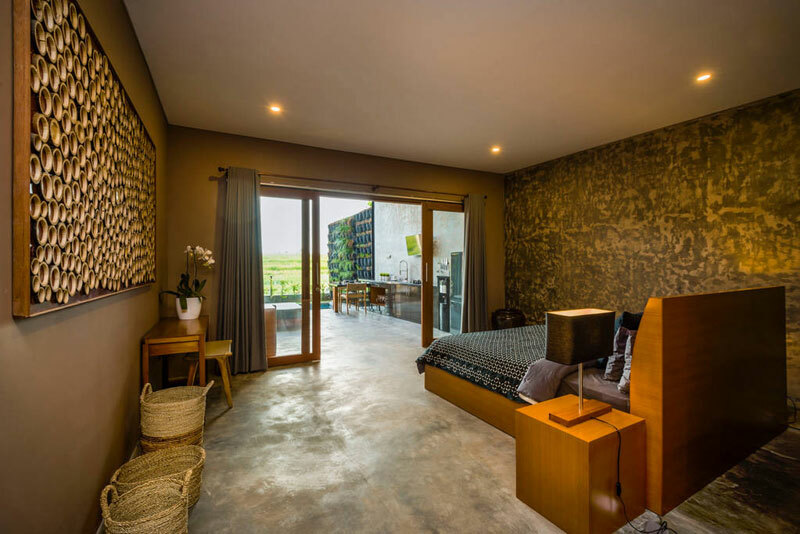 The spacious 90sqm villa-style abode offers an intimate 1-bedroom escape – and comes together really nicely with cosy spots around the villa for a couple to cuddle up together. Its star design not only boasts a big jacuzzi tub fit for 2. It also provides sun beds for you to lounge on and take in the night sky, and a separate terrace/living area to dine at. It’s also situated in Seminyak so if you’re ever able to pull yourself out of the villa – there’s tons to see and do around here! 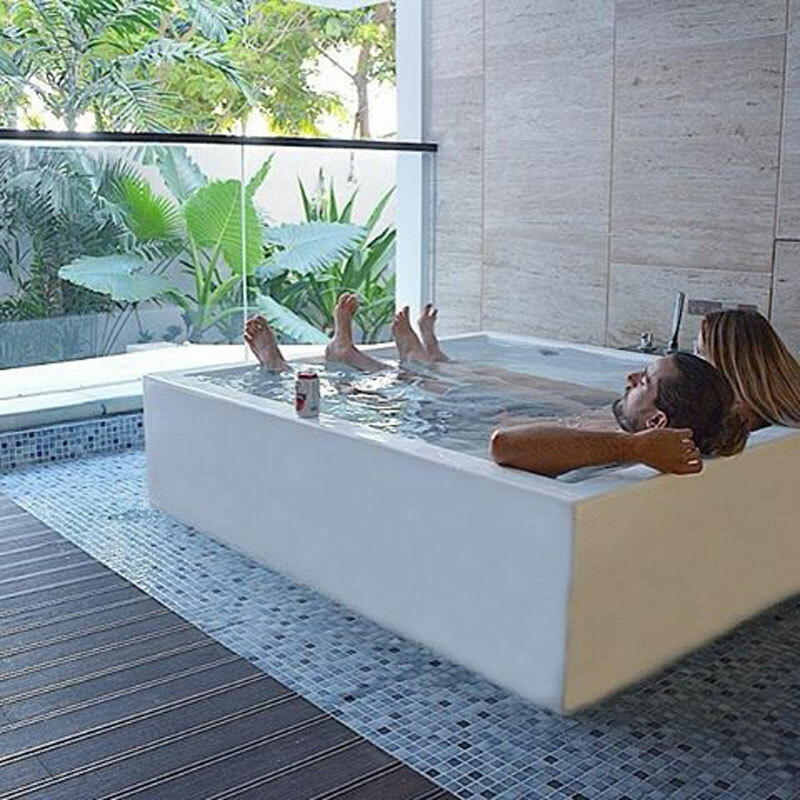 If you’re that couple who enjoys a good dip in the pool, and soothing soak in the Jacuzzi… Well, Kriyamaha Villa is just what you’re looking for. 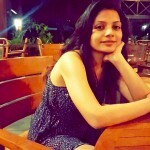 Apart from its gorgeous settings, there are romantic services awaiting. From candlelit dinners, to flower baths in your private pool, in-villa lunches – and one of our personal favourites (you can hardly find this at affordable places by the way)… breakfast/lunch on water! A wonderful, and surprisingly romantic way to keep your bellies nicely satiated, as you relax the day away in the pool. For those who love dressing up, you may even get all dolled up in the traditional Balinese couple costumes, for that winning honeymoon shot you’ll treasure forever. Other than that, requests for romantic surprise set-ups are welcome too! Lastly, you’ll be happy to note that Legian Kriyamaha is conveniently situated minutes from Legian/Seminyak’s famous shopping street and night market. Other than that, it’s only a 7 to 15 minutes drive away from other areas like Double Six Beach, Kuta Beach, Seminyak Square, and more! 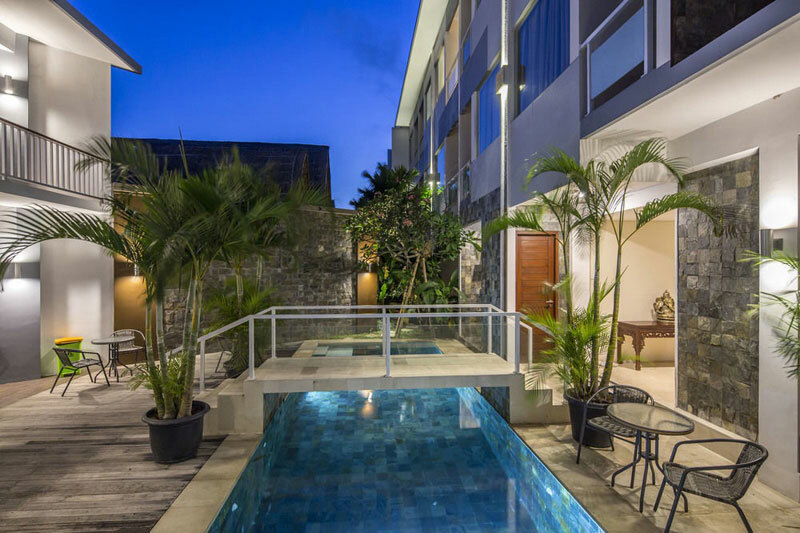 Tucked away from the chaotic streets, Golden Tulip offers peace and seclusion, while still maintaining the convenience of being a short walk away from the excitement of Seminyak. The established international hotel has three broad types of rooms – Superior, Deluxe and Suite Rooms. 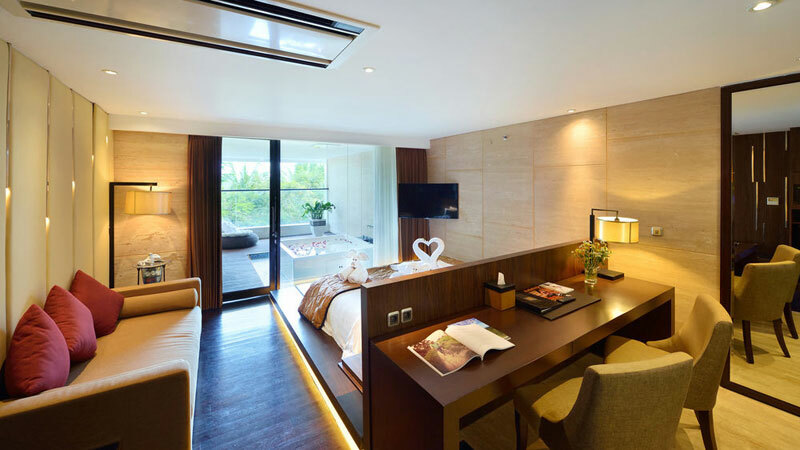 Of these, some suite rooms feature a balcony with private jacuzzi while other suites have a private pool. 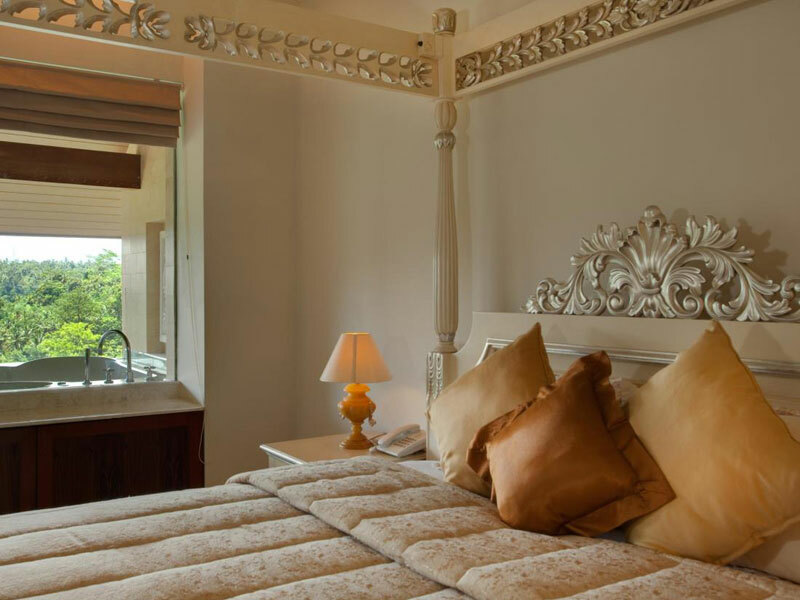 The suite rooms with jacuzzi boast of a king-size bed, balcony with garden view and marbled bathroom with rain shower. 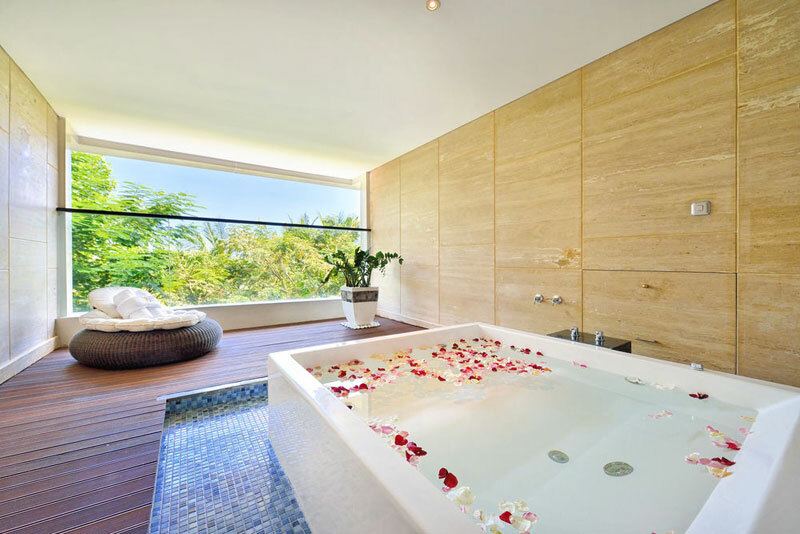 You can also request for a massage in your room after a relaxing soak in the jacuzzi. 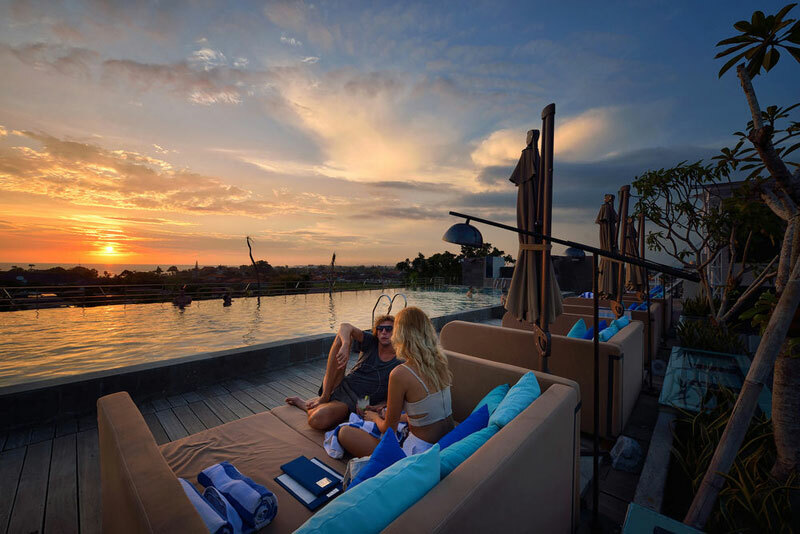 You can get splendid sunset views from the rooftop pool of the hotel – where best to laze your day away? Batu Belig beach is also just a short drive away – so you can get the sand and sea at your fingertips too! 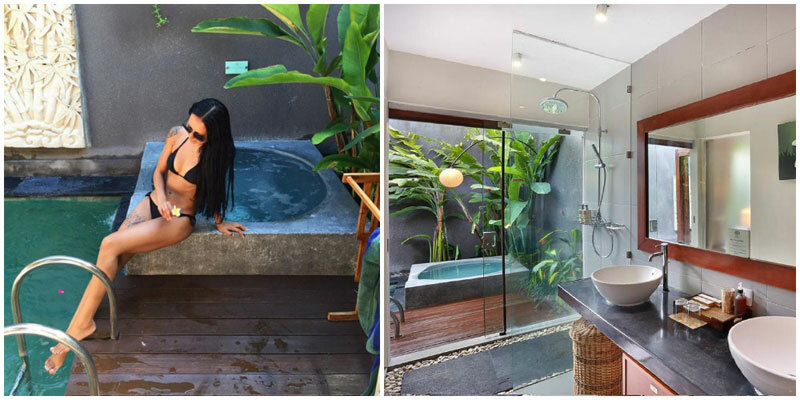 This resort is a nature retreat in Ubud – a perfect place to unwind. 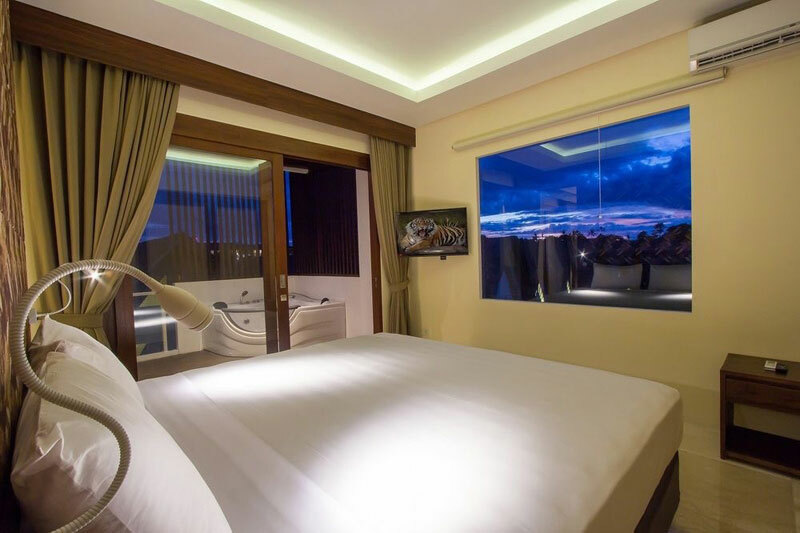 The hotel offers a wide selection of rooms – Superior, Deluxe, Wooden, Super Deluxe, Nyalian, Duplex, Villa and Suite; of which you get the luxury of jacuzzi only in a Duplex Room at US$74. 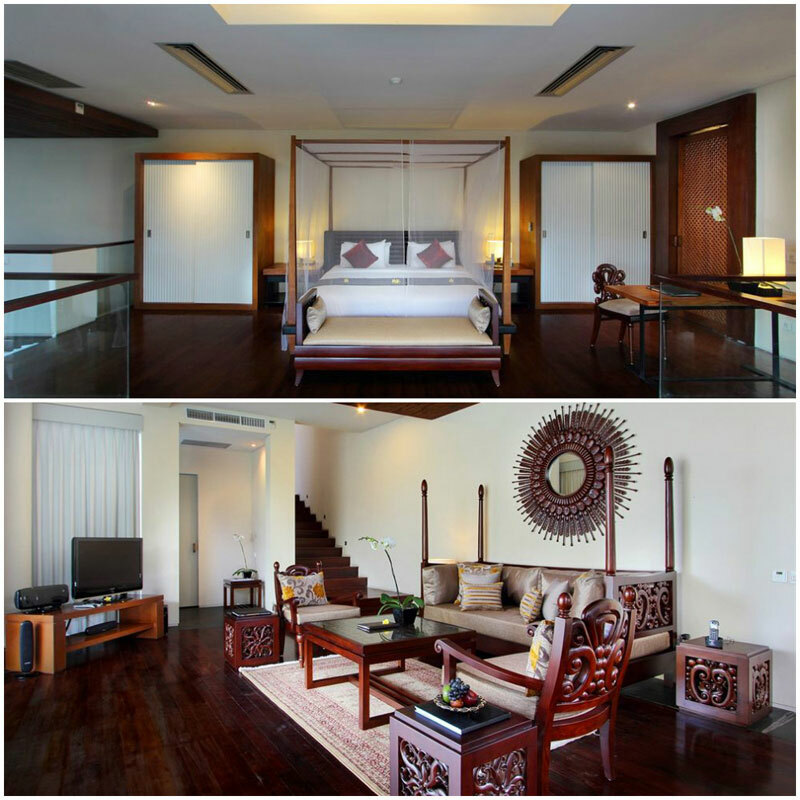 As the name suggests, the Duplex Room is a two-storey space designed in Balinese style with a hint of Japanese. The first floor has an open space for leisure with a Japanese coffee table and an open air western bathroom with jacuzzi. 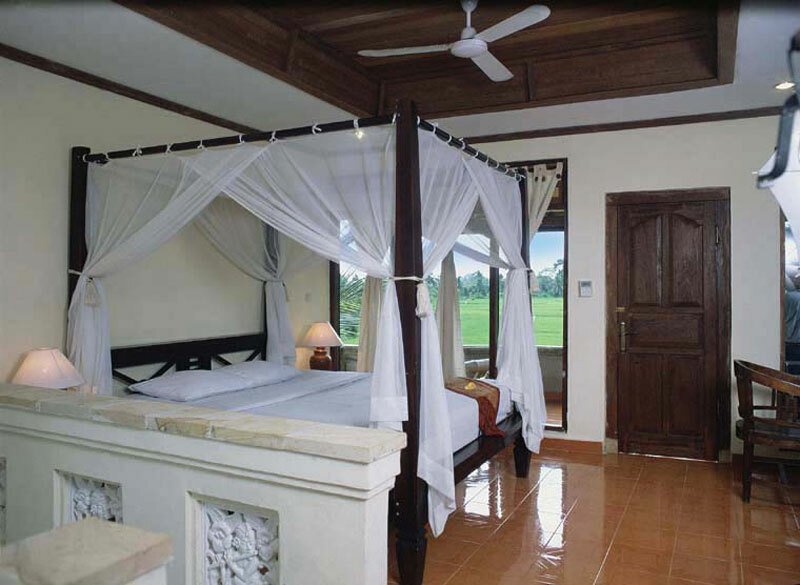 The second floor is the bedroom with a king size canopy bed overlooking the rice fields – a ubiquitous element of Ubud. 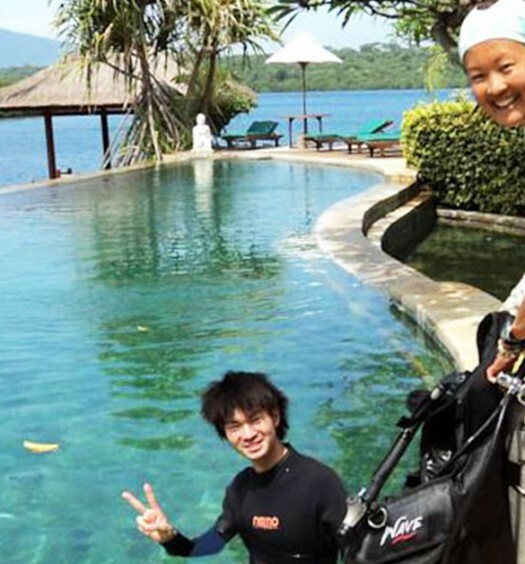 The hotel can arrange a variety of activities for you to explore the area and soak in the natural surrounds, such as cycling in the rice fields, trekking through the fields and along rivers, hiking up the mountains, and even cultural immersion classes such as Balinese cooking classes, batik courses, and wood carving sessions. 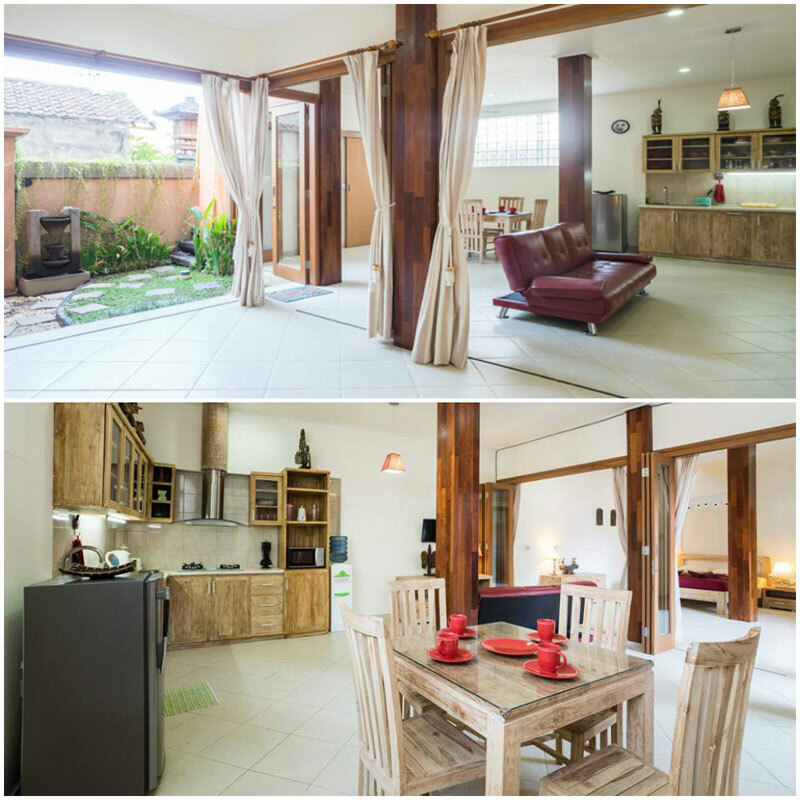 This two-storey villa is an ideal pick for couples looking for a private holiday experience. 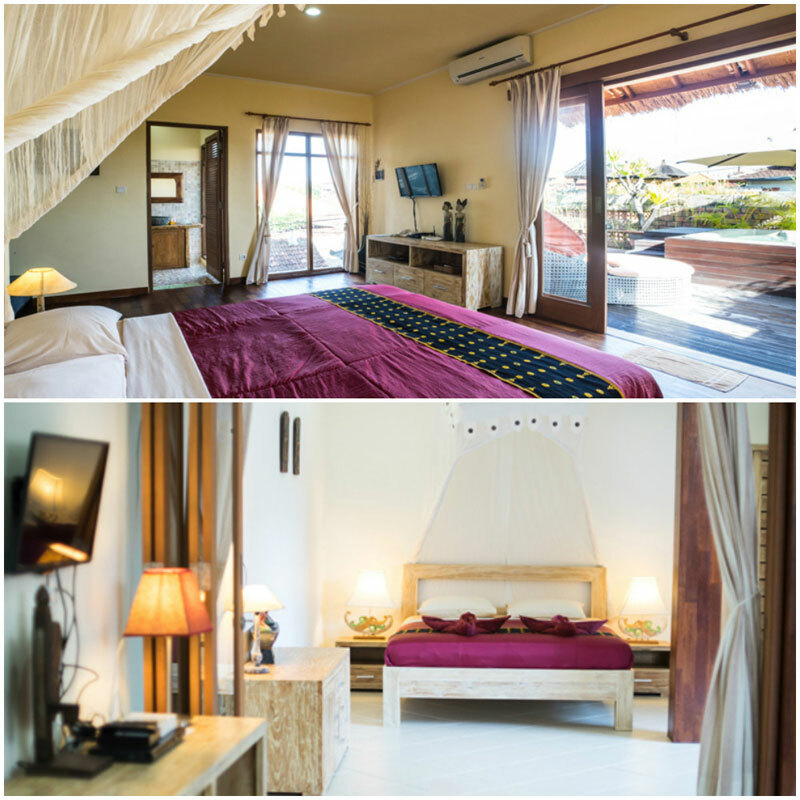 With two bedrooms and ensuite bathrooms, this villa can comfortably house up to 4-6 persons. Guests are welcome to enjoy all facilities in the house, including an outdoor jacuzzi, sun terrace, cute garden, 2 bicycles, and WiFi access throughout the house. The villa has a separate living room and dining room, giving it a homey vibe. The bathroom is equipped with a cosy soak tub, perfect for your tired limbs after all the sightseeing! Ideally located in Sanur, this place is conveniently located within a few minutes’ walk to the nearest supermarket – and you can even explore the traditional wet market (only 5 minutes away!) for your choice of fresh produce of the day. 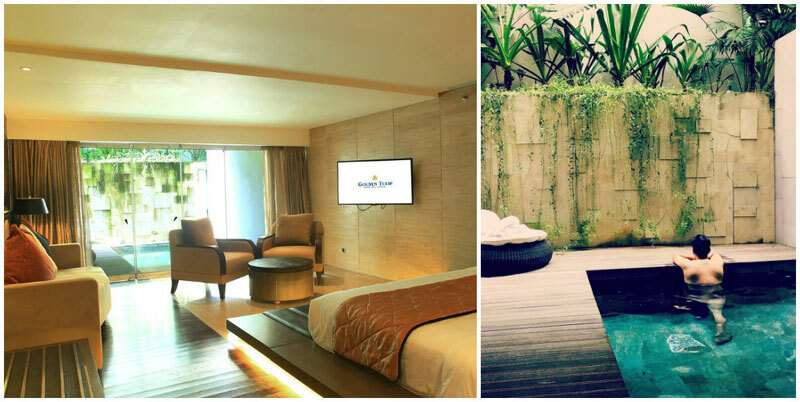 M Suite’s clean minimalist style will set you immediately at ease. 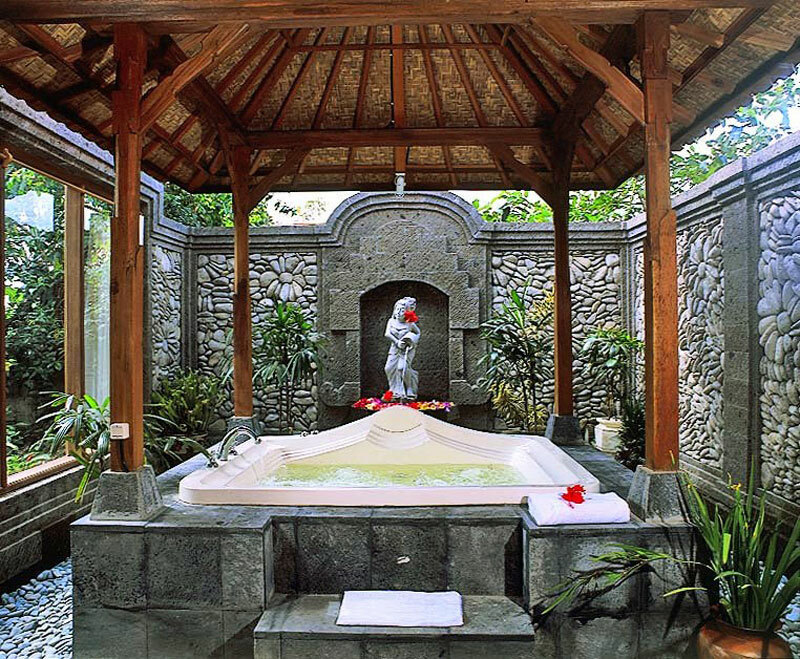 Both the Bali Suite (USD 64 a night) and the Tokyo Suite (USD 89 a night) have an in-room Jacuzzi. 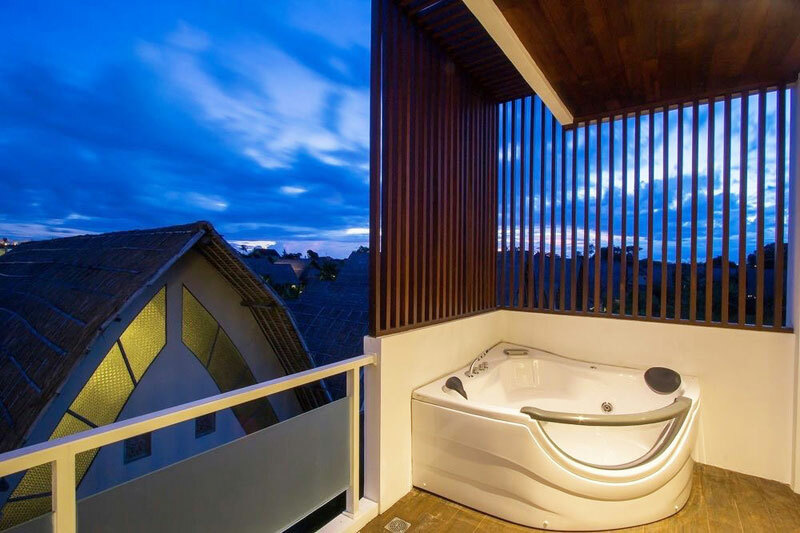 The Tokyo Suite’s Jacuzzi is on the balcony, perfect for catching the night breeze as you unwind in hot water. You can also eat your meals by the pool. 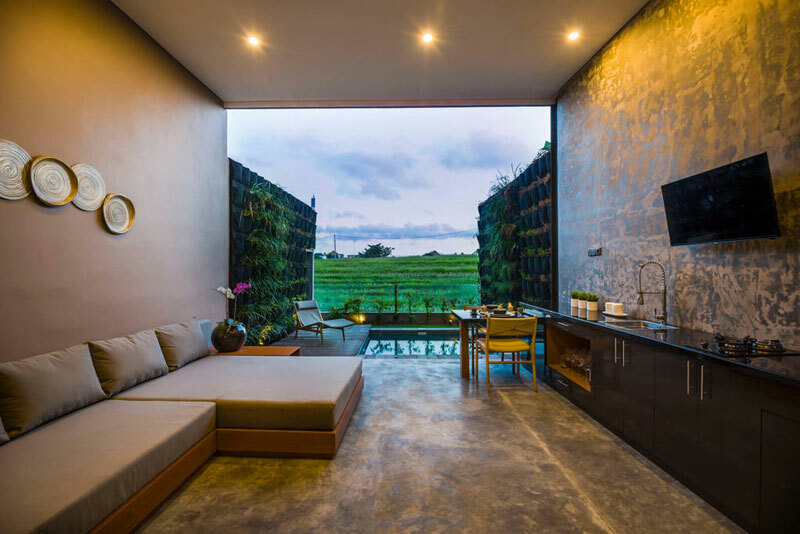 If you don’t mind splurging a bit more, we must recommend you Kiss Bali – a one-of-its-kind property with modern and eclectic décor, giving an ultra luxurious experience to its guests. 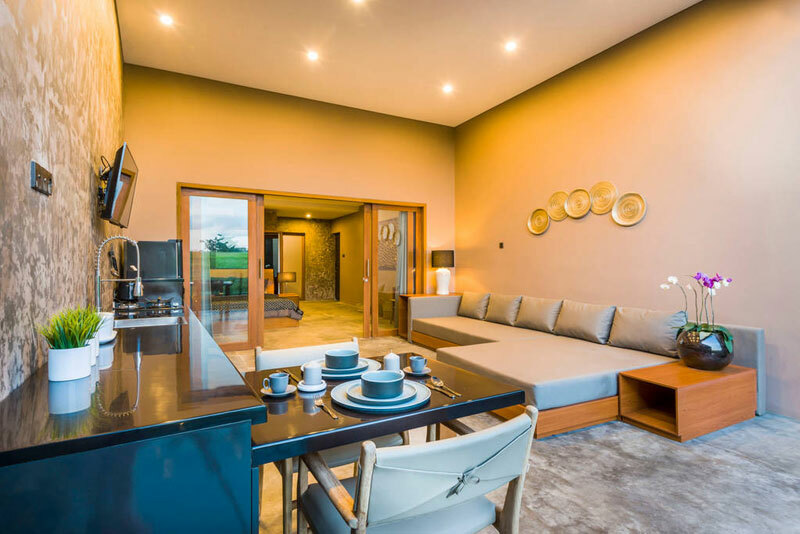 All the 7 villas come with a small garden and outdoor private pool, while only the Two-Bedroom Villas offer an additional feature of an open air jacuzzi at USD $206. 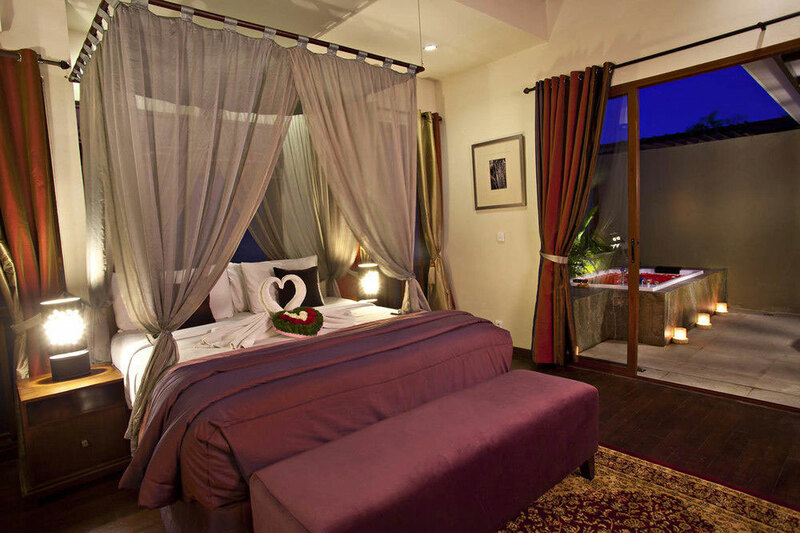 For the Two-Bedroom Villa, the split level loft space is great for an intimate time full of cuddles. And the patio by the pool is an ideal spot for a siesta! The villa has everything that you can ask for – a gourmet kitchen and pantry, daybeds for lazing, spacious living room, and other essential amenities. 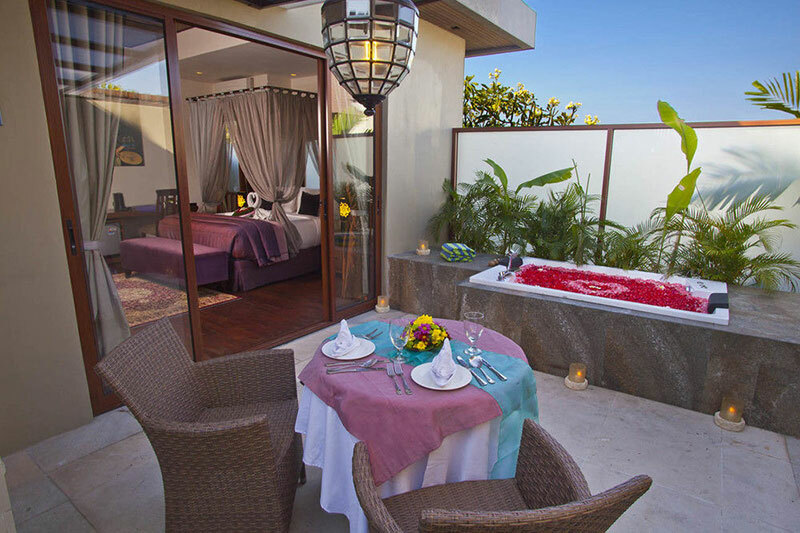 Do you know of any lovely couples who need an affordable jacuzzi villa romantic holiday? Share this story with them now! 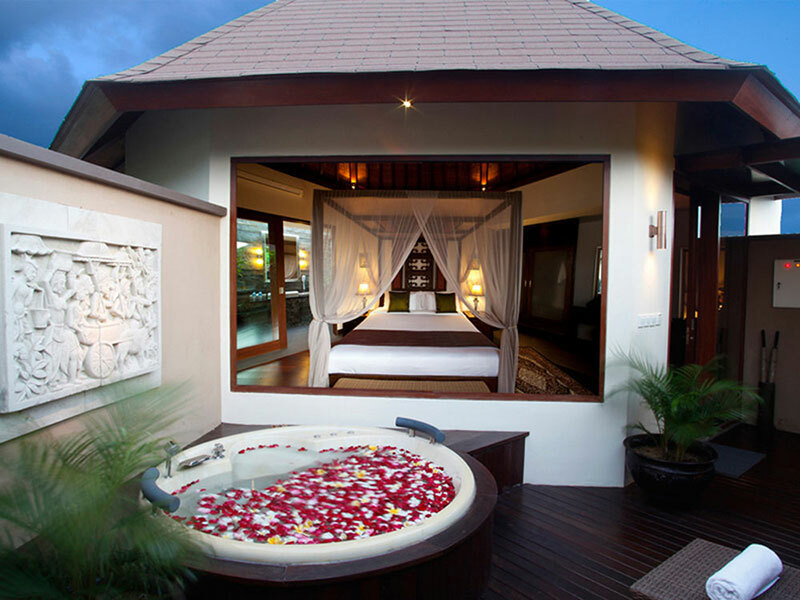 And if we missed out any other affordable private jacuzzi villa with a view, do let us know!